Our neighbors across the street and down the hill have a pond on their property. 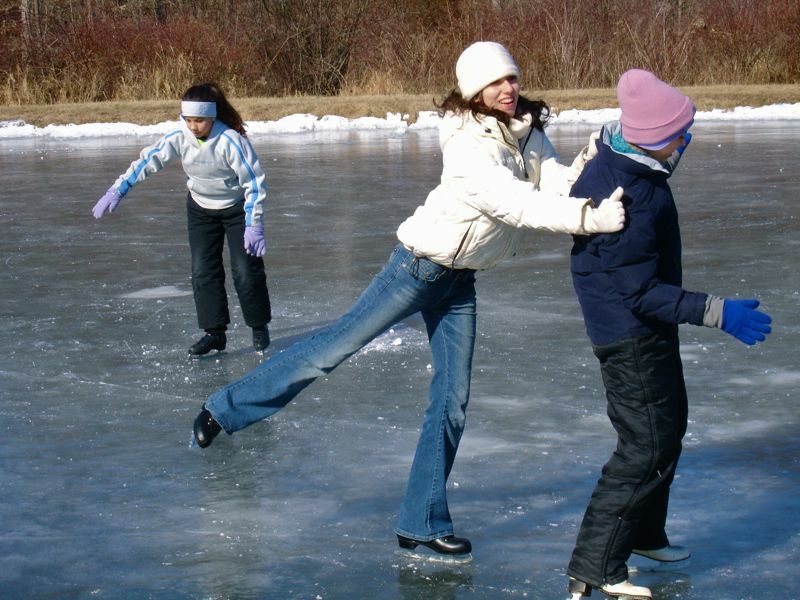 When we're sure that the ice is good and thick, the girls go over for a skate. This photo is from February 2007. Shortly after this, Veronica decided to go to graduate school instead of pursue her Olympic dreams (although I understand she and four friends dressed as the Olympic Rings this past Halloween). Yes the Olympic figure skating team will forever rue my absence! hahaha yea right they paid georgetown to accept you so that you would quit! My partner and i these Guild wars 2 gold for just a yr and so i produce these products basically daily to highschool! they are simply nice eye-catching they are select everything else you bring in. I have your gray twosome, I got typically the darker just like i buy them unclean individuals should not present as much. I've got to accept there're challenging neat and set out they are actually manufactured Guild wars 2 gold!!!!! !